My name is Austyn James Roney and I am a content creator with over three years of professional experience in writing blogs, editorials, and press releases on top of crafting video content, hosting live broadcasts, and conducting interviews with industry professionals to name a few of my skills! I have written for multiple news sites, with my strongest focus being on technology, entertainment, and gaming. I have been an Associate Editor at Shoryuken.com for over a year and have crafted countless contacts and generated strong relationships between myself, developers, manufacturers, and industry professionals. I’ve covered major events like the Red Bull Proving Grounds Finals in 2016, the Electronic Entertainment Expo, more readily known as E3 in 2018, along with Evo 2018, the world’s largest fighting game tournament, with multiple early looks at the most anticipated video game titles! I have studied SEO techniques and practically live on social media, so I am always up to date with the latest trend and happening! I’m a jack of all trades with Microsoft Office, Adobe Creative Suite, WordPress, and more! My professional experience combined with the practical techniques learned at the Mayborn School of Journalism at the University of North Texas has given me great insight on the tried and true methods of storytelling and the strategies needed in today’s digital world. While most of my work has been hosted at shoryuken.com, you can locate new and upcoming projects with a broader focus right here on my own personal webpage! Feel free to contact me through the contact page, austynroney@gmail.com or via my cell at 469-734-1993! Thank you for stopping by and I hope you enjoy what you see! My first video review for Shoryuken! Fighting EX Layer! I created my first video review for Shoryuken.com over Fighting EX Layer! It was an incredible experience producing this piece and it is the start of a new initiative for myself with the site! You can view the video below and read the entirety of the review at Shoryuken.com! ARIKA has released the gameplay trailers showcased during its earlier live stream for Blair, Jack, and the most recently announced Shadowgeist. The characters all have something unique to bring to the table. Blair’s quick strikes flow gracefully and she appears to have some interesting counter opportunities. Jack’s solid punches show this cowboy’s been in a brawl or two, especially when he brings out his baseball bat. Shadowgeist fights for his daughter’s safety with flashy movements and energy attacks. Fighting EX Layer is set to release by the end of June and will be available digitally on PlayStation 4. Check out both trailers for the new characters below! Ever since the release of Reaching for Petals, I wanted to take a few moments to reflect upon my writing process and how I arrived at the peak of that mountain. Not only will this give those who have experienced the story of the game an inside look at the details behind the names, events, and locations within Reaching for Petals, but it will also allow me to better understand how I arrived at these decisions and how I was influenced. I will try my best to make these blog posts frequent and in-depth. Stay tuned for my first entry into Reaching for Petals Writing Mindscapes! Bandai Namco released an English subtitled version of the story mode trailer for Dragon Ball FighterZ, now we can dive into the details of this new adventure! Android 21, the main antagonist of the upcoming title, appears to make a wish to the Namekian dragon, Porunga. Directly afterward, an army of evil clones scour the earth and its heroes begin to collapse one after another. Villains from the past are resurrected and Android 16 joins Android 21 due to a connection yet to be revealed. Goku regains his consciousness, but not everything is as it seems with the franchise’s headstrong hero. Dragon Ball FighterZ “links” the player with multiple characters throughout its three-arc story mode. This literally puts the player in the characters’ shoes. In one arc, players will assume the role of Goku, with no knowledge of the hero or his friends. This causes confusion for Bulma, who believes Goku is playing a game with her. (Which technically is true.) The player also links with Frieza and Android 18 in their respective arcs. Perspectives of many of the franchise’s heroes and villains are shown as the narrative unfolds. Those wanting to uncover the “Hidden Truth” of the story will need to complete all three story modes. Players create bonds with the Super Warriors and unlock special skills that boost the strength of their fighters. Characters also level up as they gain experience from each battle. The extent of this leveling system has yet to be seen, but one can expect boosts to overall health and power as indicated in the trailer. The plot thickens as Android 21’s plans and motives are still unknown. Players can find out the true extent of the android’s genius and how the Dragon Ball universe comes together to stop her on January 26 when Dragon Ball FighterZ releases on Xbox One, PlayStation 4, and PC. Reaching for Petal releases on Steam! 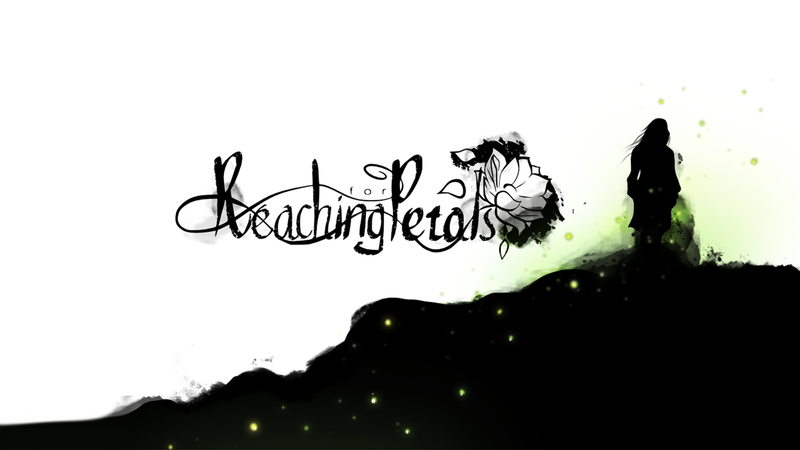 Reaching for Petals has finally released on Steam! It was a lot of hard work but I cannot begin to describe the feeling of pride I feel for writing something so personal, so powerful, and so beautiful. I will be writing a series of blog posts about my writing process, my inspirations, and the meanings behind the symbols found throughout the game. I had a little launch party last night with my family and close friends. I cannot believe that I have made it to this point and I cannot wait to see where this adventure takes me. Reviews have been mostly positive and criticism has been acknowledged, but most importantly I am just happy knowing that we completed this wonderful story and that it is out there for people to experience. Reaching for Petals will soon be releasing on PlayStation 4 and Xbox One as well so please be on the lookout for further information. Bandai Namco recently announced a brand new “CollectorZ” edition of Dragon Ball FighterZ that contains quite a few goodies for the devoted DBZ fan. First and foremost, owners of the collector’s edition will, of course, get a copy of Dragon Ball FighterZ on their format of choice, alongside a jazzy Steelbook. If it’s anything like the Dragon Ball Xenoverse 2 collector’s edition, you won’t have to choose between the Steelbook or the original packaging as both were included in the package. The centerpiece of the collector’s edition is the 7″ statue of the main man himself, Goku, in an exclusive “Manga Dimension” coloring. This highly detailed statue pays homage to the iconic moment of Dragon Ball history whenever Goku transforms into a Super Saiyan for the first time. There are also three art cards set to be included in the CollectorZ edition but so far the only characters known to on them are the mechanical siblings, Android 17 and Android 18. All items will be housed in a CollectorZ box that’s bound to be a work of art in itself. It is important to note that none of the artwork has been finalized, so be aware that designs may change! Pre-orders have begun on both the Bandai Namco store and Amazon, so be sure to act fast before they sell out! Don’t forget to try your luck with the beta! Those looking to get their hands on an early look of Dragon Ball FighterZ can sign up for closed beta access on PlayStation 4 and Xbox One. The methods to enter the beta differ depending on your console. PlayStation 4 owners can sign up for a chance to participate in closed beta through Bandai Namco’s beta application website. The chart below features the times the beta will be available on PlayStation 4. Xbox players will have to sign up for the beta through the Xbox Insider program. Those not in the program can find more information at their hub support page here. There is currently no specific listing of times for the Xbox One beta on Bandai Namco’s beta website, but both tests will take place between September 16-17. Keep an eye on your email to find out if you will be participating!